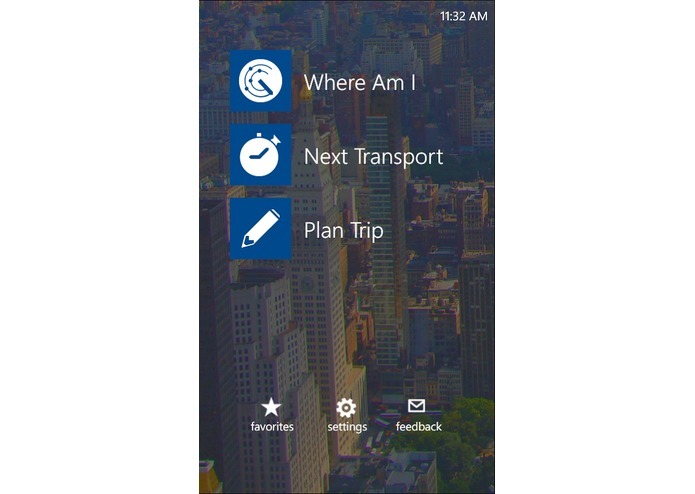 “TransitIQ NY” is an application for public transportation riders in NYC. 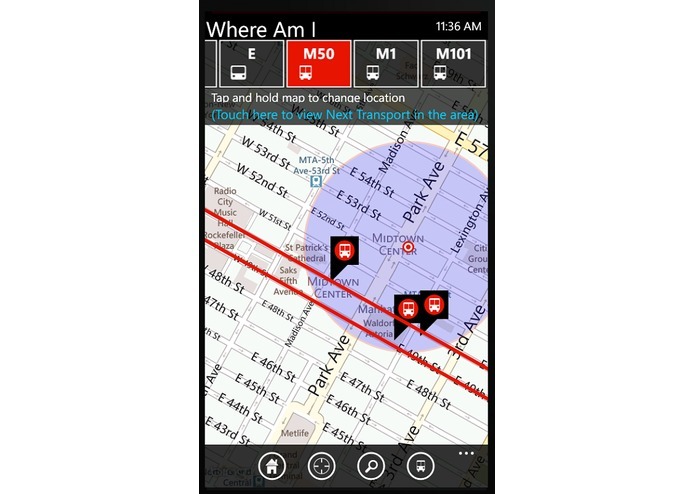 The application has three major features: ∙ “Where Am I” – it tells you what buses or metro lines are nearby your current GPS location, maps the routes on map and provides directions and arrivals for the stops. 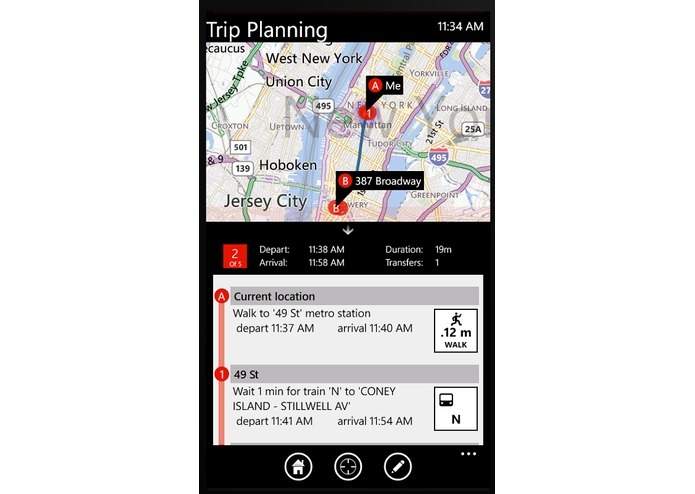 ∙ “Next Transport” – It is a quick access to nearby arrivals. 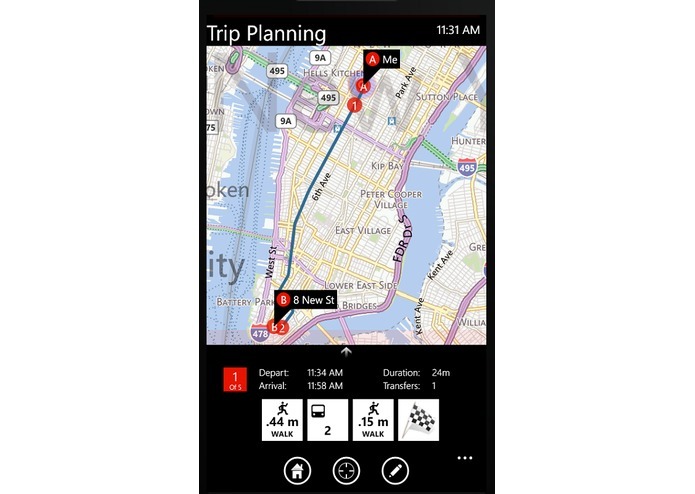 ∙ “Trip Planner” – build a trip in NYC area. 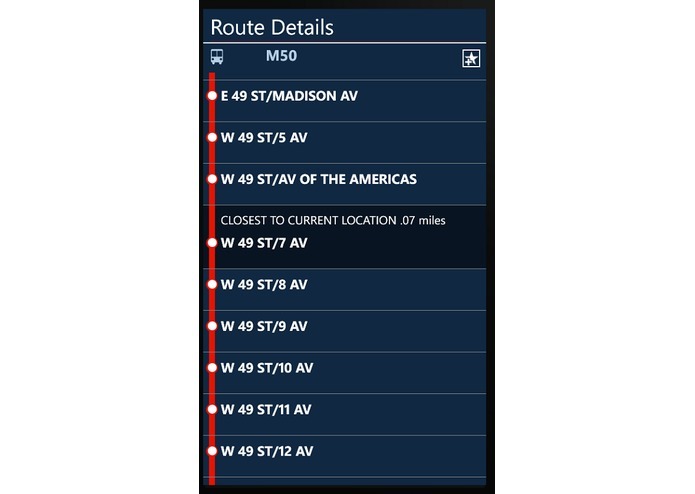 The application uses MTA GTFS files for Subway and buses including Bronx, Brooklyn, Manhattan, Queens and Staten Island as well as "MTA Bus Time" real-time API.